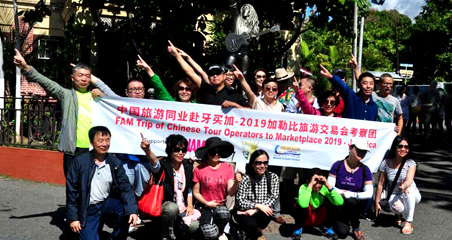 The two sides need to strengthen various non-governmental exchanges in such areas as culture, education, news and media, youths, women, health and tourism, jointly well build the Confucius Institute, and consolidate the public opinion foundation of bilateral friendship. On December 21, 2017, President Xi Jinping held talks at the Great Hall of the People with President Adama Barrow of Gambia, who was in China for a state visit. The two heads of state agreed to jointly well plan a new blueprint for China-Gambia cooperation, and promote bilateral relations for sustainable and in-depth development. Xi Jinping pointed out that both countries have resumed diplomatic relations last March, opening up a new chapter for bilateral relations. Facts have proved that Gambia's decision to resume diplomatic relations with China follows the trend of the times and conforms to the fundamental interests of the two countries and peoples, which is a correct choice. For more than a year, both sides have comprehensively advanced exchanges and cooperation in various fields, with cooperation results practically benefiting the two peoples. Xi Jinping stressed that China is willing to, together with Gambia, maintain the sound development momentum of bilateral relations, and boost steady and further development of mutually beneficial cooperation between both sides, so as to effectively benefit the two peoples for a long time. The two countries should firmly grasp the one-China principle and the general direction of bilateral friendship, understand and support each other on issues concerning respective core interests and major concerns, and be good friends and partners with sincere friendship and equal treatment. Both countries should cement exchanges between governments, political parties and legislative bodies between the two countries, and enhance experience exchanges on state governance and administration. China attaches importance to cooperation with Gambia in agriculture, electricity, infrastructure and other fields, and is willing to help Gambia enhance its capacity for self-development, in a bid to realize sustainable development. The two sides need to strengthen various non-governmental exchanges in such areas as culture, education, news and media, youths, women, health and tourism, jointly well build the Confucius Institute, and consolidate the public opinion foundation of bilateral friendship. China is ready to enhance security cooperation, strengthen communication and coordination in international and regional affairs with Gambia, and contribute to safeguarding peace and stability in the West African region. Xi Jinping pointed out that China and Africa are good friends, good partners and good brothers. It is put forward at the 19th National Congress of the Communist Party of China (CPC) that China will devote itself to jointly building a new type of international relations and a community with a shared future for mankind with all countries, and adhere to the correct viewpoint of righteousness and benefit and principle featuring sincerity, real results, affinity and good faith to enhance unity and cooperation with developing countries including Africa. China's cooperation with foreign countries is not attached to any political conditions that interfere in the internal affairs of other countries. The essence of China-Africa cooperation is to closely combine China's development with helping Africa's development, in a bid to achieve win-win cooperation and common development. No matter what stage of development China reaches and how the international situation changes, China will always stand together with Africa and other vast developing countries, and be a sincere friend and reliable partner of Africa forever. 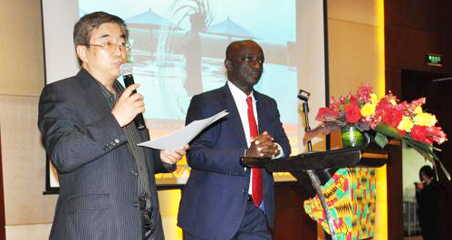 Gambia is a new member of the big family of the Forum on China-Africa Cooperation (FOCAC). China is willing to boost the implementation of the outcomes of the FOCAC Johannesburg Summit with Gambia, in a bid to bring more benefits to the two peoples. 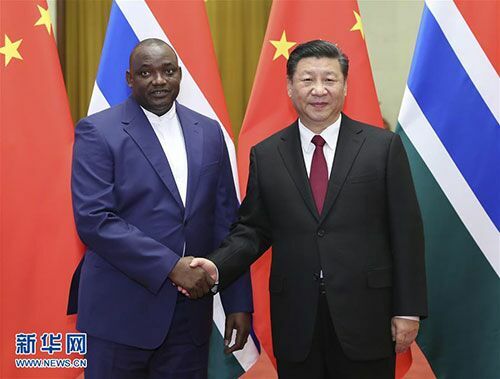 Adama Barrow expressed that Gambia treasures the sincere friendship of great China, thanks a lot for and will never forget the selfless assistance of the Chinese government and people to Gambia in the 1970s, especially since the two countries resumed diplomatic relations. 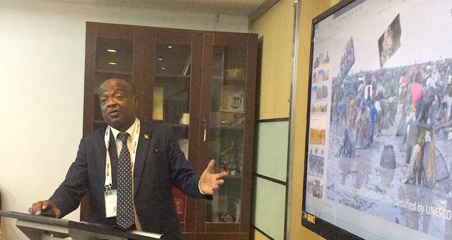 China's strong support in agriculture, health and other areas has promoted the cause of national development and people's livelihood of Gambia, and he himself had also benefited from the meticulous treatment of Chinese medical teams. The Gambian people respect China. The resumption of diplomatic relations between the two countries fully conforms to the aspiration of the Gambian people. Gambia will firmly adhere to the one-China policy, and stands ready to enhance practical cooperation in various fields including economy, trade, agriculture, electricity, infrastructure, education and tourism, as well as people-to-people and cultural exchanges, and continue to cement communication and coordination in international affairs. Gambia deeply admires the achievements of China's economic and social development, and is willing to learn China's experience on reform and development to strengthen its own capacity building, and realize national development. China is a sincere friend of Africa, and Gambia is ready to actively participate in cooperation under the FOCAC framework. After the talks, the two heads of state jointly witnessed the signing of agreements on the mutual exemption of visas for diplomatic and official passports between the two governments, and on China-Gambia cooperation in setting up a Confucius Institute at the University of The Gambia, as well as on bilateral cooperation documents in such areas as economy, trade, investment, technical cooperation, infrastructure construction and human resources development. Prior to the talks, Xi Jinping held a welcoming ceremony for Adama Barrow at the North Hall of the Great Hall of the People. Member of the Political Bureau of the CPC Central Committee, Member of the Secretariat of the CPC Central Committee and Director of the General Office of the CPC Central Committee Ding Xuexiang, Member of the Political Bureau of the CPC Central Committee and State Councilor Yang Jiechi, Vice Chairwoman of the Standing Committee of National People's Congress Shen Yueyue, Vice Chairman of the National Committee of the Chinese People's Political Consultative Conference Ma Peihua and others were present.